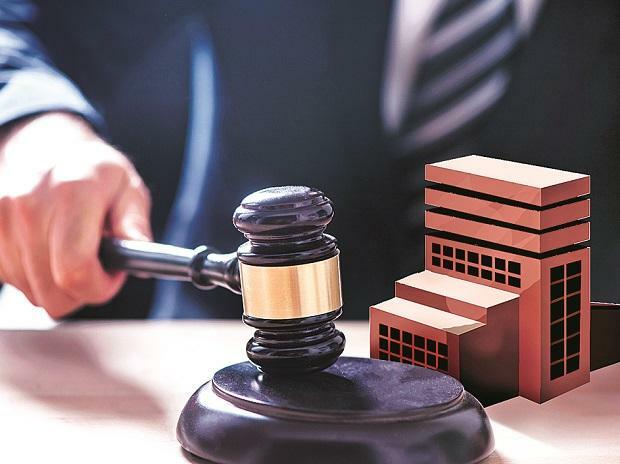 The National Company Law Appellate Tribunal (NCLAT) has asked the government to provide a list of IL&FS group companies along with their categorisation based on their respective financial positions to pay their debt. The government had Monday submitted the debt resolution plan for crisis-hit IL&FS to the NCLAT and also suggested the name of retired Supreme Court judge Justice D K Jain to supervise the entire process. The entire resolution process would be based on the principles enunciated in the Insolvency and Bankruptcy Code. "The Union of India will also submit lists of companies who are in the group of 'green', second list of the companies who are in the group of 'amber' and third list of Companies who are in the group of 'red' having registered office in India by the next date," said NCLAT. A two member bench of NCLAT headed by Justice S J Mukhopadhaya has directed to list the matter on February 11 for orders. Besides, the appellate tribunal has also asked to provide a separate list of IL&FS companies incorporated in other countries. In its debt resolution plan, the corporate affairs ministry has fixed September 30, 2018 as the cut-off date for entertaining the claims submitted by the lenders. On October 1 last year, a newly appointed board took over the reins of IL&FS. "During the conduct of the resolution process of the IL&FS group, payments will be permitted only to maintain and preserve the going concern status of the companies of the IL&FS group," the ministry said in its affidavit detailing the resolution plan. According to the ministry, it would maintain the waterfall system during asset monetisation, wherein the seniority of lenders would be maintained as is done under the IBC. "The distribution of the sale proceeds would be in accordance with the waterfall mechanism specified under section 53 of the IBC," it added. Under Section 53 of IBC, senior secured creditors loans are cleared first and any surplus that remains thereafter is given to unsecured or subordinated creditors and thereafter to the equity owners. MCA has also proposed the name of former Supreme Court judge Justice D K Jain to supervise the asset sales plan, which the tribunal has asked it to get his consent. "... we allow the counsels for Union of India and IL&FS to contact Justice (Retd) D K Jain, for consent and to discuss the terms and conditions of engagement including monthly fee, travelling expenses, allowance etc," the two-member NCLAT bench said. According to the resolution plan, a suitable eligibility criteria will be stipulated, approved by the newly appointed directors and then expression of interests will be invited for the same. According to the affidavit filed before the NCLAT, the classification of the IL&FS group companies is "based on a 12 month cash flow based solvency test". Companies falling in the green categories are the entities, which will continue to meet their payment obligation. While companies falling in amber category are those who are not able to meet their obligations but can meet only operational payment obligations to senior secured financial creditors. "Companies falling in the red category are the entities which can not meet their payment obligations towards even senior secured financial creditors," it said, adding that these companies would be permitted to make payment necessary to maintain and preserve the going concern status.